Recessed lighting gives any room in the house a modern or even futuristic look. It adds more light to a room and is an excellent way to spotlight a work of art or a feature that you want your guests to notice. This is because many types of recessed lights can be rotated and focused on a particular object in the room or arranged to give the impression that a room is bigger than it really is. Recessed lighting is also excellent for a low ceiling where hanging lights such as chandeliers aren’t really appropriate. They usually don’t need much current so they can be wired into a standard light circuit. As your electrician in Orlando FL, we’re here to tell you the basics of Recessed Lighting. There are two types of recessed light fixtures. They are either insulated ceiling (also known as IC) or non-insulated ceiling (also known as NIC). IC fixtures are often a good choice, as insulation can be installed in the metal fixture housing. On the other hand, there are special rules for NIC fixtures when they are installed to prevent them from trapping heat. Experts such as Adonai Electric, an electrician in Orlando FL will help you choose the best option for your home or office. 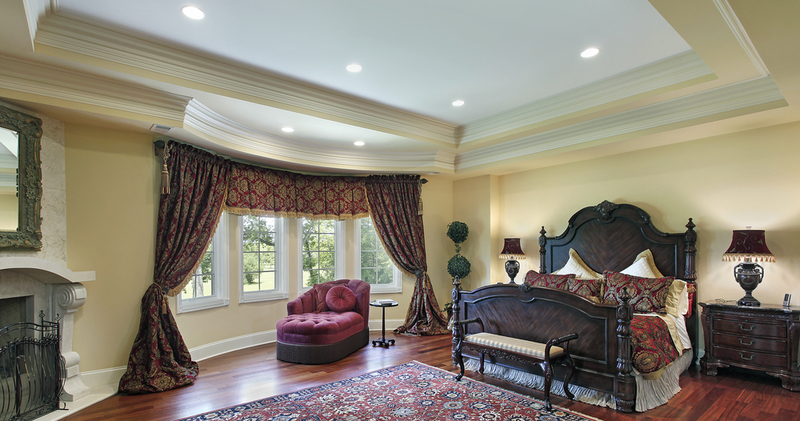 As with other lighting, aesthetics is a consideration when it comes to installing recessed lighting. Generally, the fixtures shouldn’t be too close to each other, and they shouldn’t be placed in a straight line down the room because the look is just unimaginative. However, a homeowner can get away with installing rows of tiny recessed halogen bulbs in a pair of well-spaced lines down the ceiling. This is a different look from the sunken lenses most people think of when they think of recessed lights. Another rule of thumb is to match the inches of the fixtures to the feet of how far apart they should be spaced. Therefore, 6-inch fixtures should look best when they are 6 feet apart. But there are exceptions to those rules. There are ceilings where the fixtures seem to be randomly installed, like stars in the sky. Of course, the fixtures aren’t random at all but installed in a way that’s different while being balanced and aesthetically pleasing. Recessed fixtures used as accent lights should be centered about a foot to a foot and a half in front of the object to be highlighted. If the object is three dimensional like a sculpture, it should be the focus of three lights arranged at different angles. If it is being used as a task light, recessed lighting should be placed right over the place where the task is to be performed, whether it is sewing or reading. This prevents the person’s head and shoulders from blocking the light. Recessed lights usually use halogen, fluorescent or CFL lamps. Halogen lamps are very bright and hot, while fluorescent and CFL lamps are cooler and bluer. They come in 4, 5 and 6-inch diameters. Contact Adonai Electric, your electrician in Orlando FL, for more information about recessed lighting.